Pastor Richard Smith was elected Mayor of Ferryhill in May. “My faith in Christ is what drives me to help people regardless of their faith, colour, culture, sexuality, or political persuasion”, he said. Richard Smith, former Mayor of Ferryhill. / Christian Concern. A town Mayor in the British County of Durham (North East of England) has resigned because he has “been subjected to unprecedented levels of adverse publicity”, after posting his opinions about homosexuality on Facebook. Richard Smith was elected Mayor of Ferryhill in May, and has been a pastor of Emmanuel Christian Fellowship in Ferryhill since 2003. He had previously served in the army for eight and a half years. Smith had shared a number of posts on his Facebook account, promoting biblical views on sexual ethics and Islam. A local drag artist, Tess Tickle, accused him of homophobia and Islamophobia: “Everybody's entitled to their own views and beliefs. However, sharing things in a public domain in a position of power... it's not acceptable”, she told the BBC. Some local councillors and residents also called for the resignation of the Mayor. 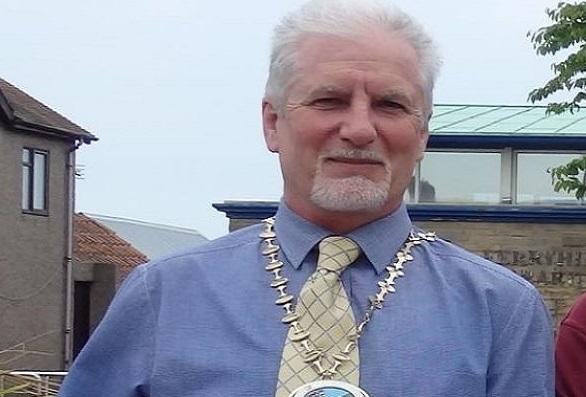 Smith sent a resignation letter, stating that “with deep and profound sadness, and after considerable deliberation, I have decided to relinquish the role of Mayor of Ferryhill Town Council”. He explained that he has “been subjected to unprecedented levels of adverse publicity, orchestrated for political advantage, that has threatened both my church, family, and colleagues alike”. “Whilst the instigators are very much in the minority, as evidenced by the widespread messages of support I have received, I realise that my ability to serve the people of Ferryhill in the manner I would have wished will always be subject to disruption and intimidation”, he added. “To be denied the opportunity to hold personal views was never my expectation when I undertook the role of Town Mayor, and it is a matter of sincere regret to me that those personal views have been so tragically and outrageously twisted and reported on in order to discredit both myself and my faith”, the letter said. Smith pointed out that “my faith in Christ is what drives me to help people regardless of their faith, colour, culture, sexuality, or political persuasion”. “People who really know me and Lauraine and the church, can truly comment on how hard we have lovingly worked to help and provide for those in need, this has now been decimated by the minority mob along with those wishing to score political points and who have a God-phobia”, he concluded. Smith ended the letter quoting Acts 5:25-32. “I guess nothing much has changed”, he said. He will “remain a member of the council, to participate in and promote initiatives brought forward for the benefit of all in our town, as was always my intention”. Right after his resignation, on July, 11, a free speech rally in support of the former Mayor was held at the Council Chamber, in Ferryhill Town Hall. “Councillor Smith has posted nothing illegal. He is a pastor of a church and nothing he has said contradicts the teaching of the Bible”, Andrea Williams, chief executive of Christian Concern, said in support of Smith. According to Williams, “an aggressive lobby is determined to distort those views, take them out of context, and ultimately silence and remove anyone who adheres to them. Councillor Smith serves as a local pastor and politician, motivated by his faith and love for the people of his community. What kind of system hangs him out to dry?”.